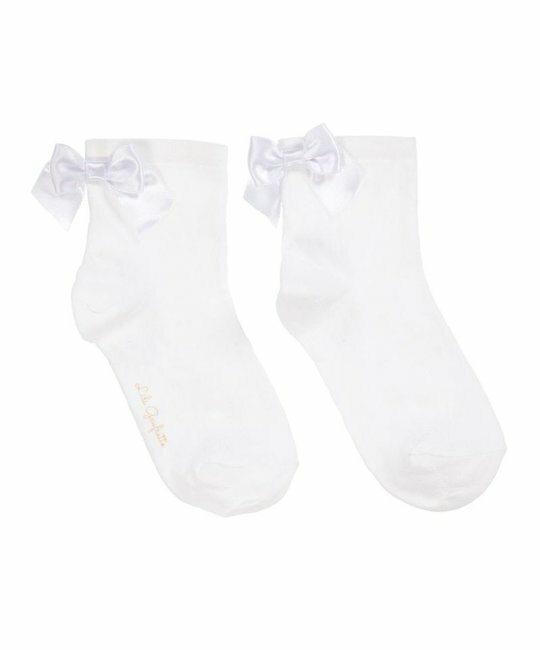 Lili Gaufrette soft cotton white socks with bow detailing at ankle. 78% Cotton, 20% Polyamide, 2% Elastane. Imported.